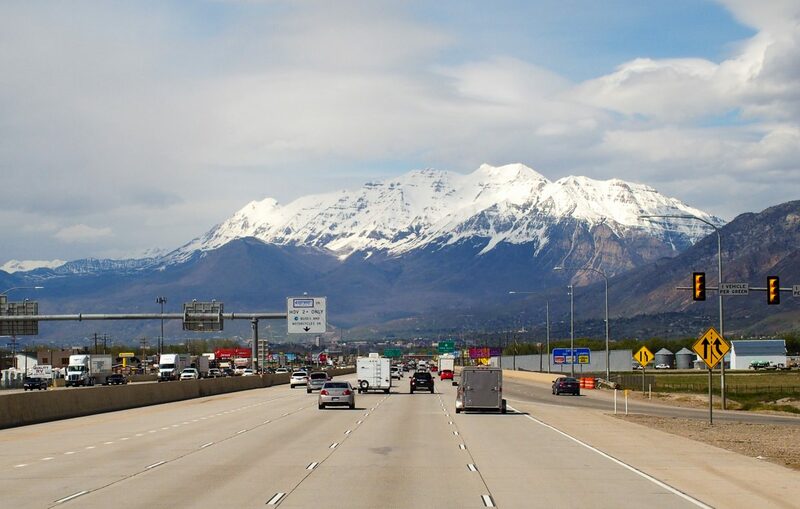 Life Rebooted – Utah, it’s May and snow?? Life Rebooted – Utah, it’s May and snow?? Originally we planned (we use that phrase often) to hit Monument Valley and Moab after Sedona but had to take a sharp u-turn back to Yuma so I could get some quick work done on my crown covering my implant. The positive was that Dr. Urena (my dentist) got me in quick and replaced the crown at no charge! The negative was the weather averaged 95+ degrees for the week while we were in Yuma, yuck! We spent as much time indoors as possible and did some maintenance on Rover since there wasn’t much else to do in Yuma. Our arrival in Provo UT was pretty dramatic! After the dental visit, we drove to Heber City Utah, a small town about an hour east of Salt Lake City (SLC). 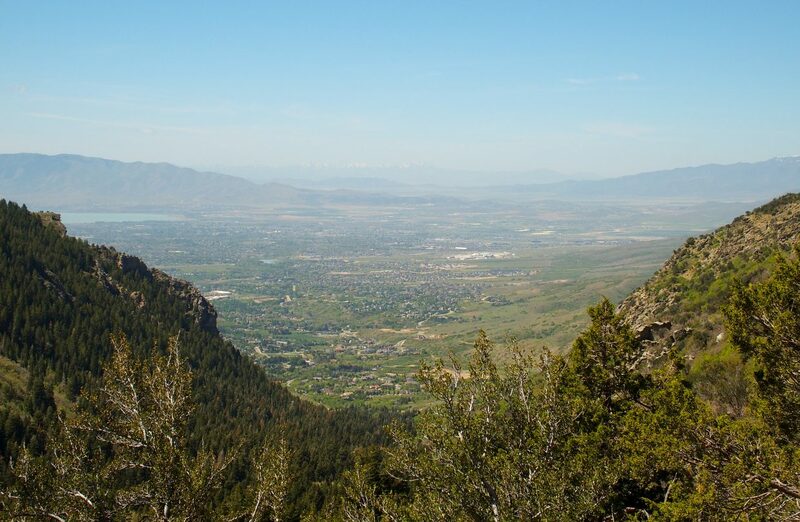 The town is nestled within Heber Valley and surrounded by some gorgeous snow-covered mountain scenery. After a long two day drive, we made it from 95 degree Yuma to 50 degree Heber City (33 degree overnights), BRRR! While it was nice to get out of the heat, the temperature difference took a little adjusting to. Thank goodness the temperature did climb to 70 over the next few days making it much more bearable for us (yes, my tolerance for temperatures outside of 70-80 degrees has decreased drastically). Unfortunately we made it to Utah just a bit ahead of the summer season and a majority of the hiking trails and some scenic drives were still closed due to snow. 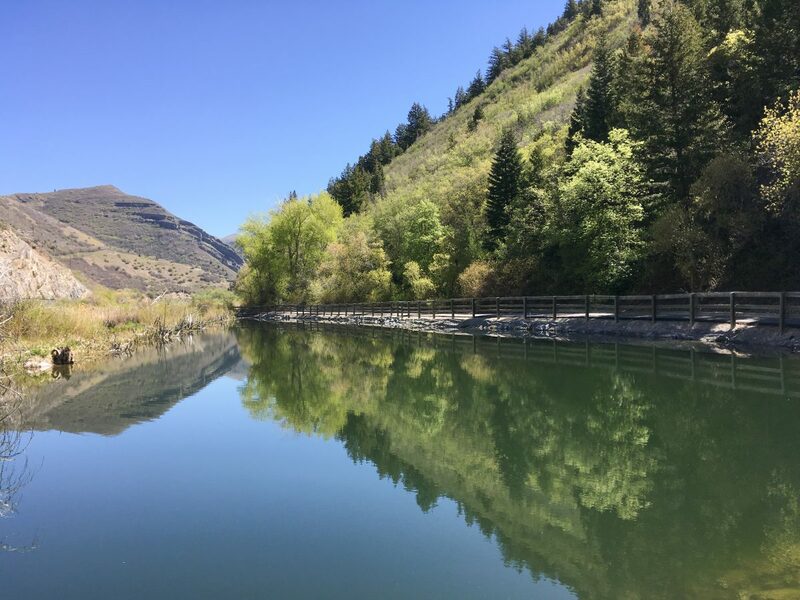 We did take a quick stroll on the Provo River Parkway, a 15 mile rails-to-trails paved path. From Vivian Park, it’s a flat paved path through the canyon and hugs the river which always makes Opie happy. Unfortunately the state is doing some construction on the trail and only after 1.5 miles, the trail was closed and fenced off. We (me) thought about sneaking around the fence but Mike talked me out of that idea so we turned around and walked back. The trail does pass by Bridal Veil Falls so once the trail opens back up, it would be a fabulous trail to walk or bike. Strolling along the Provo River Parkway trail. 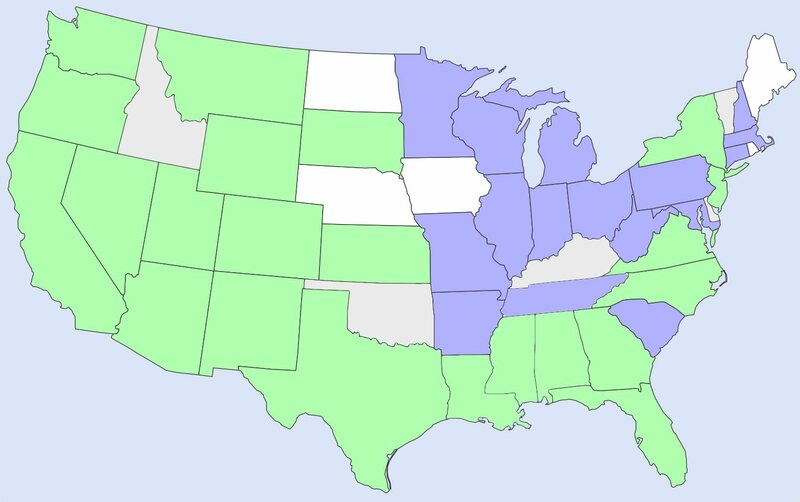 After doing some research, I found a fair number of hikes prohibited dogs due to protected watershed areas, or the hikes were still closed due to snow. 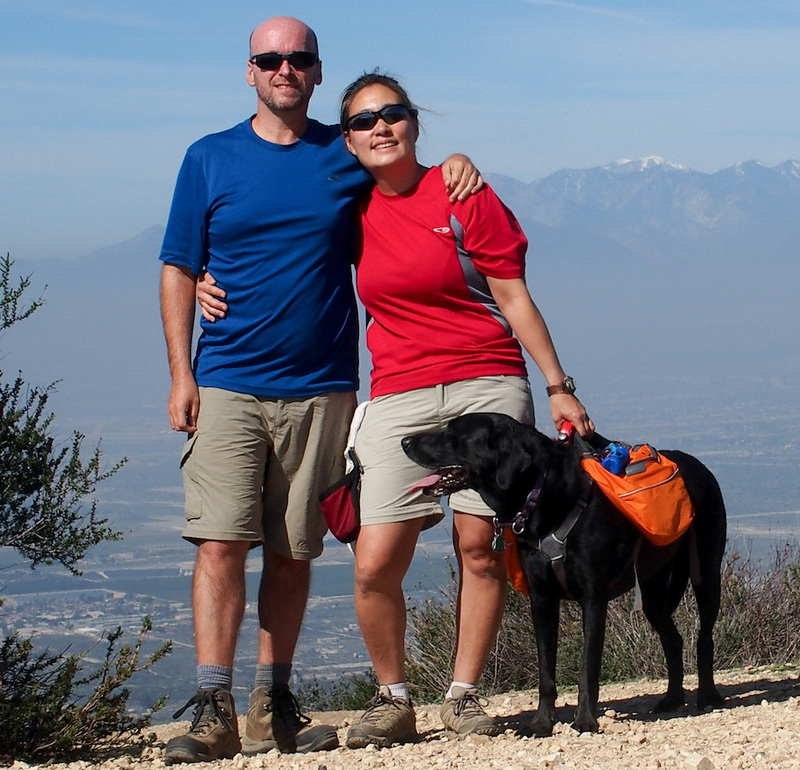 Further research (and some mild cursing) netted me with a few dog-friendly hike options we could try. We felt unmotivated to tackle Neff’s Canyon, a 6.3 mile out-and-back with a 3,000 ft elevation gain. Bald Mountain Summit sounded beautiful with an easy 2.7 mile out-and-back, 1,150 elevation gain but it would have taken 1.5 hours to drive to the trailhead from our location. Horsetail Falls, just under 5 miles out-and-back and 1,700 ft elevation gain with a ginormous waterfall sounded perfect. We did have to drive an hour to get to the Dry Creek Trailhead in Alpine. A fair number of trailheads actually start on the west side, closer to SLC, so most would include a fair bit of driving due to our location. 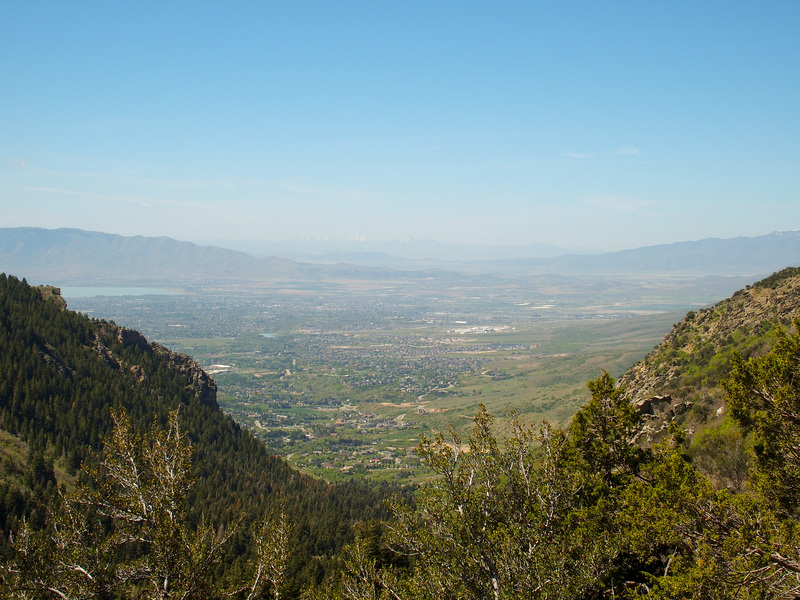 The view back toward Alpine UT from near the top of our hike. Dry Creek Trail is dog-friendly, off leash trail that doesn’t allow wheeled vehicles so we don’t have to worry about bikes but we do have to watch for horses (and their poop). The trail doesn’t waste time getting steep and continues that way for the majority of the hike. At 6,000 feet high, with the elevation gain, it was a huffer for us but the cool weather and shade kept us from overheating. 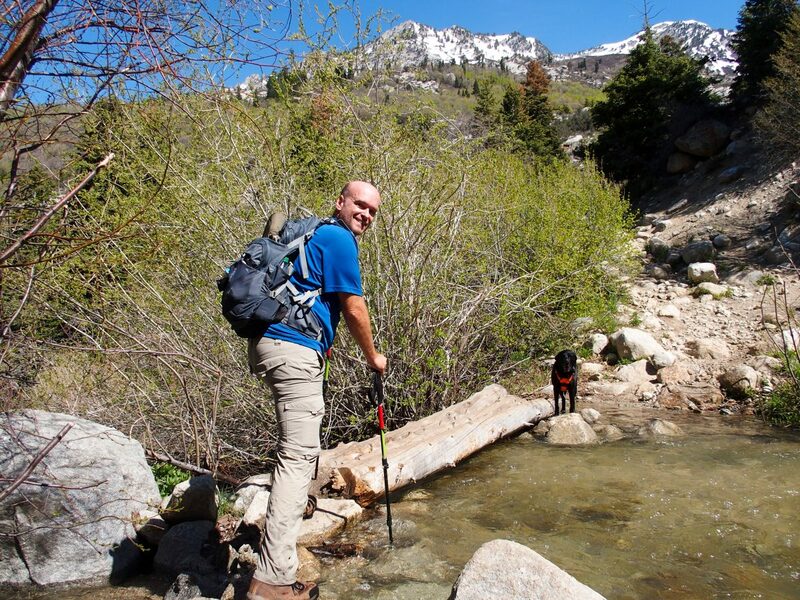 Most of the trail is rocky and with the recent snowmelt, the multiple stream crossings were challenging so hiking poles were very helpful here. One of several stream crossings on our trail. This one was easy! After about 2 miles, there’s a fork in the trail with trail signs. We kept to the left to head towards the falls. Approximately a quarter mile after the fork, there’s a very small rock cairn on the left. We missed this the first time and continued on the trail until we realized the rushing sound of water was fading. We turned around, found the cairn, scrambled over some rocks, and followed a dirt trail to the waterfall overlook. The view of the valley below is gorgeous and the falls are pretty from the top but we wanted to see Horsetail Falls at it’s best which means getting to the bottom of the falls. Kathie and Opie near the base of Horsetail Falls. So after soaking in the sun and enjoying the view, we headed back down the trail. Right before the fork at the trail (on the way down. If you’re still going up on the trail, it’s shortly after the fork), there’s a small steep game trail that leads to the bottom of the falls. The trail is primitive and requires some bushwacking but the view is certainly worth the effort. 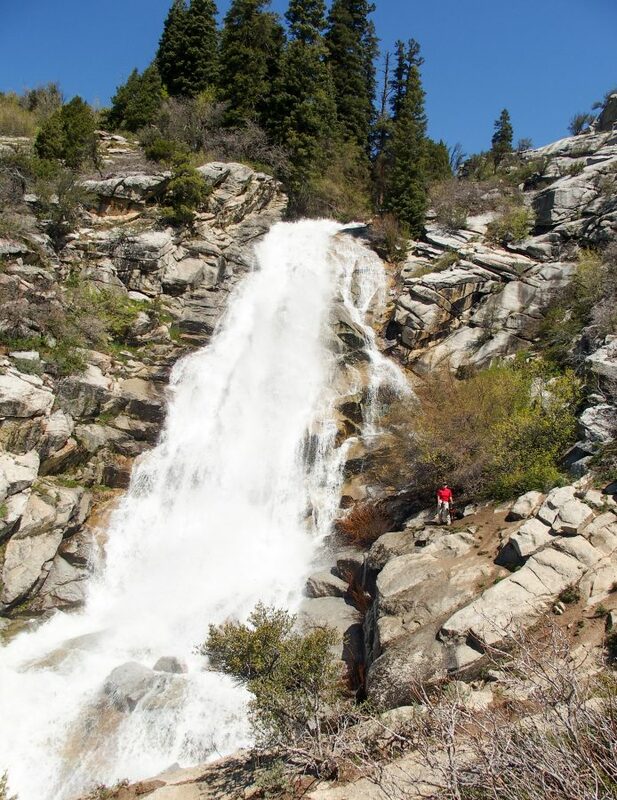 Due to all the snowmelt, the falls were spectacular with the volume of water rushing over the rocks. Opie and I walked closer to provide a relative size comparison and the roar of the water was positively deafening! (Check the bottom of this blog post for a video of the falls). While the elevation grade was a bit tough, we found the hike worth the effort involved. The impressive LDS Temple in downtown Salt Lake City. 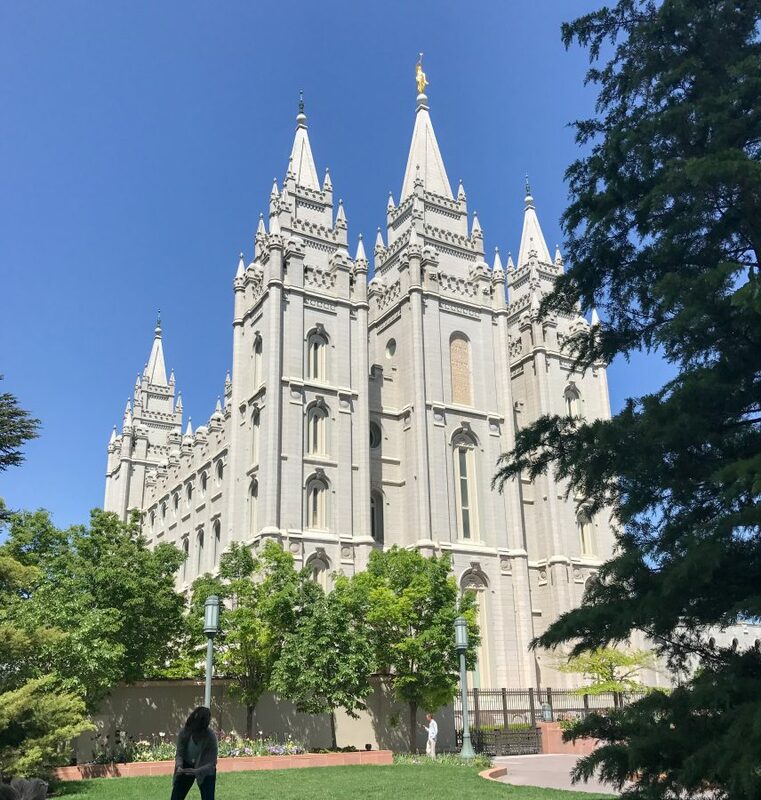 Mike and I also took a day in Salt Lake City to explore Temple Square. Salt Lake City was founded by Mormon followers and is home to the headquarters of the Latter-Day Saints (LDS) Church. Temple Square is a 10-acre property owned by the church and includes the LDS Temple, Tabernacle, and Assembly Hall. 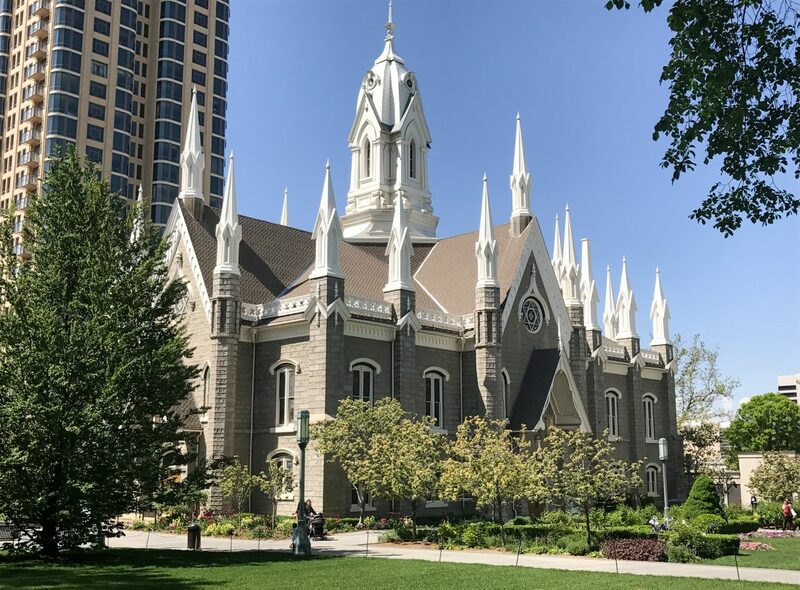 The LDS Church encourages visitors to Temple Square and offer free tours regularly. 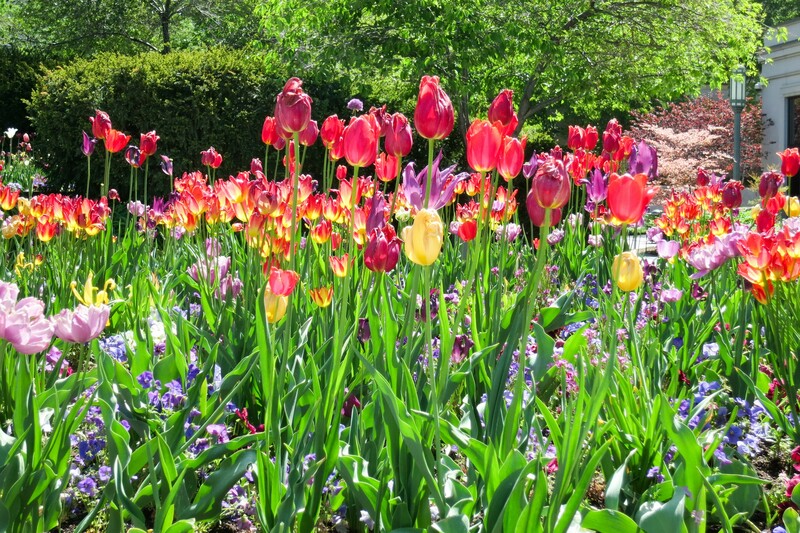 One of the many amazing floral displays in Temple Square. We downloaded the self-guided Pioneer Walking Tour to get a better idea of the history of the buildings. 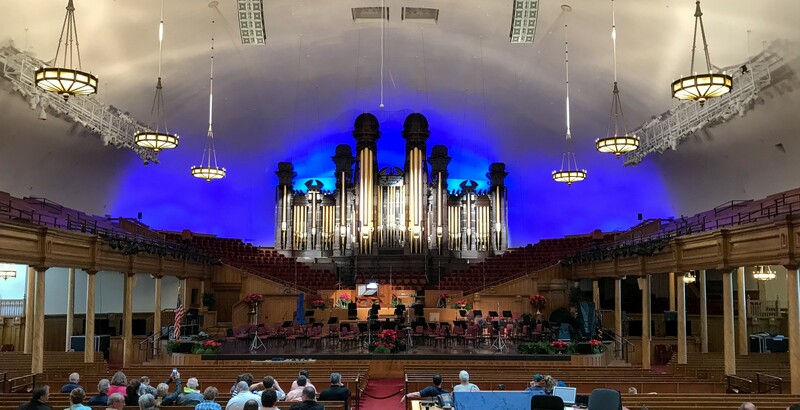 We were also able to enjoy a free organ recital inside the Tabernacle. It’s an impressive complex of buildings and landscaping and we enjoyed reading about some of the history of LDS. Listening to the amazing free organ recital inside the Tabernacle. We are always looking for dog parks in our travels so Opie can interact with other dogs and spend some time off leash enjoying his freedom. 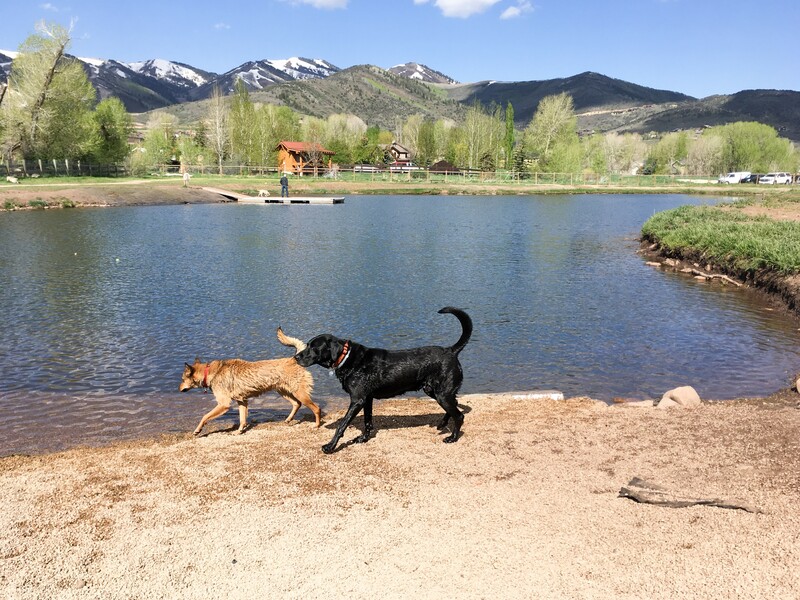 We found two nice dog parks at Park City, about 30 minutes north of Heber City. 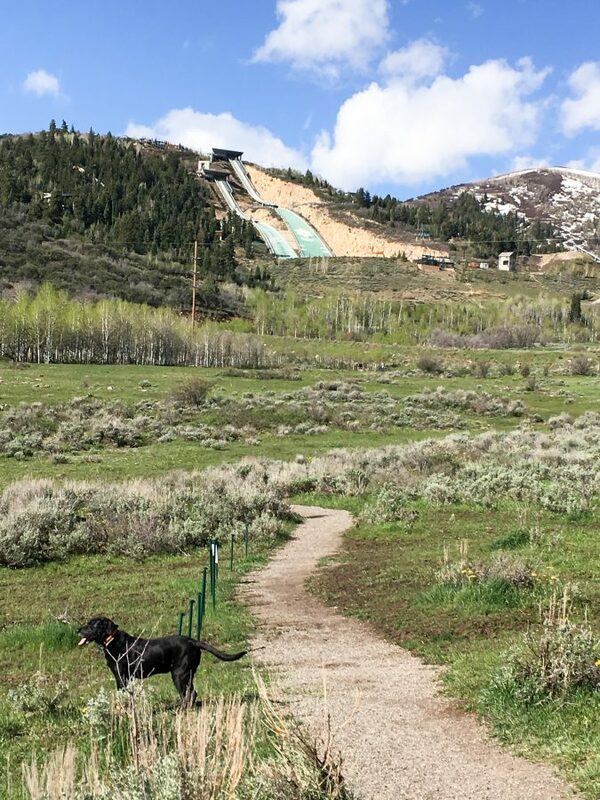 One was located right below Utah Olympic Park so we could see the enormous ski jumps, which apparently are opened up as giant slip n’soar in the summer! Run-a-Muk dog park encloses 43-acres of space with a nice meandering two mile path. Opie enjoying himself at Run-a-Muk dog park. The park encourages the humans to stay on the path while the dogs are allowed free reign to wander. It’s a fun place to give Opie some freedom and exercise but there’s not a lot of dog interaction. Luckily Willow Creek Dog Park is more of a traditional dog park with a wide-open field and large pond for the dogs. So because Opie is the center of our lives, we took him to both dog parks to enjoy the best of both worlds! Originally (again with that word! 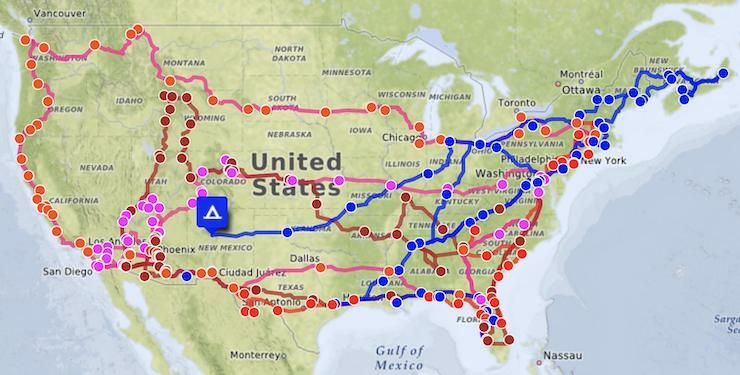 ), after Heber City we were supposed to head straight to Grand Teton National Park. Unfortunately on our drive from Yuma to Heber City, we noticed that Rover’s front two tires were worn way down on the side walls and the remaining outer tread was very uneven. Even with our very basic mechanical skills, we knew that wasn’t normal. We ended up with two new front tires and made a detour to downtown SLC for an unplanned wheel alignment to prevent future tire wear. The alignment showed that our “toe-in” was pretty awful, which would explain the sidewall wear. The alignment shop corrected the various problems and we were back on track to Grand Teton!